Scholars from around the world will gather at the University of Chicago for a variety of workshops and conferences in April and May. From exploring Medea’s life to finding the stories within poetry to formulating ways to save endangered languages, the workshops can be a great way to spring into academic adventures. A selection of the workshops is presented below. For a complete listing, visit the Humanities Division Calendar. The three-day conference will explore various points in the career of Medea, both leading up to and going beyond Corleille’s 1635 Médée. 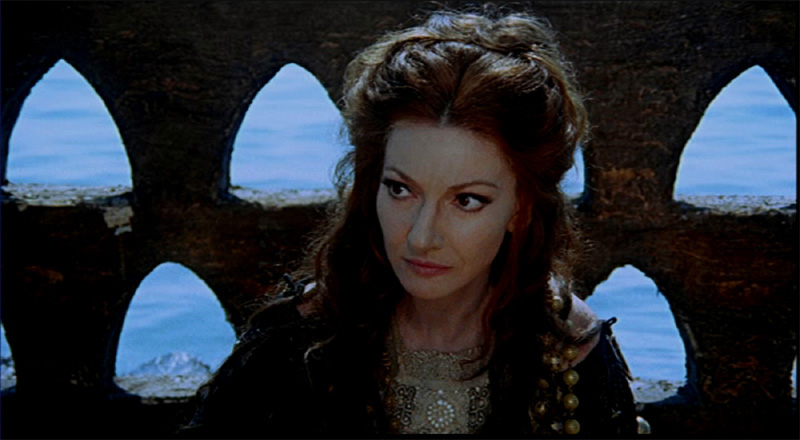 Papers presented at the conference will place the story in the context of a long and rich history of Medea incarnations, from Euripides and Seneca through Cherubini and Grillparzer to Wolf and Müller and the films of Pasolini and von Trier. Additional papers will place Medea in the company of other tragic heroines, such as Antigone and Iphigenia, exploring common themes of womanhood, transgression, and exile. More information. “(Ce) que la poésie raconte, (What) poetry narrates” will explore the stories behind poetry. Some of the questions presenters will address include: How to account for the feeling that the words of a poem structure themselves in the shape of a latent or possible narrative? As medievalists, we cannot conceive of poetry in opposition to narrative, or even as distinct from it. In this regard we follow the traces of medieval writers who, when faced with the idea of poetry, when they attempted an ars poetica, did so through the optic of narrative. Rosenwald 405. More information. Friday, April 11 to Sunday, April 13: The Centrality of Animal Sacrifice in Ancient Greek Religion: Ancient Reality or Modern Construct? Organized by Classics Professor Chris Faraone and History Professor Bruce Lincoln, together with Assistant Professor of History Fred Naiden of the University of North Carolina, this conference aims to examine the problem of Greek animal sacrifice from a number of different perspectives. First comes an introductory question: how can recent work and the established paradigms be synthesized? Next come deeper questions about assumptions. Is Greek animal sacrifice both central and distinctive, as now thought? How does it compare with other oblations to the gods and also to heroes? Does it play a similarly central and crucial role in the consciousness of other cultures with which the Greek shares Indo-European background (e.g. Persian and Roman) or proximity (e.g. Phoenicians or Anatolians)? Did the pre-Greek Minoans or the proto-Greek Myceneans share this fascination with sacrifice? There are also important questions about types of evidence. Since Burkert, Vernant and Detienne focused almost entirely on the literary evidence – Homer and Hesiod, Greek tragedy and comedy – we are impelled to ask whether we find the same primal focus on animal sacrifice in visual representations as well, both on public monuments and on smaller, household artifacts. Finally, there are important historiographical questions to be asked about twentieth-century development of the idea of the exceptionality of animal sacrifice in the Greek world. The conference is part of the annual meeting of the Mid-Western Consortium on Ancient Religion. More information. Saturday, April 12 and Sunday, April 13: Looking at Asian Art – A Symposium in Memory of Professor Harrie Vanderstappen (1921-2007). In his many years of teaching the art of China and Japan, Prof. Harrie Vanderstappen, “Father V” or “Father Harrie,” as his students and colleagues knew him, conveyed to his students above all the primacy of rigorous examination of the visual evidence and of knowing the work of art. That is the common legacy that his students share and that bridges their individual interests in the arts of China, Japan, Tibet and the Himalayan regions, Mongolia and other parts of the world, whether in ancient or modern times. This symposium is organized by his students to acknowledge and pay tribute to his teaching and his contribution to the development of the Asian art collection at the Smart Museum of Art at the University of Chicago. Prof. Harrie Vanderstappen taught in the Department of Art History from 1959 to 1991 after being awarded the Ph.D.from the department in 1955. In 1994 an endowment established the Harrie A. Vanderstappen S.V.D. Distinguished Service Professorship of Chinese Art History, a chair held since then by Wu Hung. The Dean of the Humanities Division, the Franke Institute for the Humanities and the Department of Linguistics present a symposium on “Exploring the Origins of Sound Patterns in Language” 8:30 a.m. to 5:30 p.m. at the Franke Institute. Explanations for sound change have focused traditionally on identifying the inception of change, that is, the identification of perturbations of the speech signal, conditioned by physiological constraints on articulatory and/or auditory mechanisms, which affect the way sounds are analyzed by the listener. While this emphasis on identifying the intrinsic variation in speech has provided important insights into the origins of widely attested cross-linguistic sound changes, the nature of phonologization – the transition from intrinsic phonetic variation to extrinsic phonological encoding – remains largely unexplored. The goal of this workshop is to facilitate collaboration among phonologists and specialists from neighboring disciplines seeking unified theoretical explanations for the origins of sound patterns in language, as well as to move toward a new and improved synthesis of synchronic and diachronic phonology. The Film Studies Center presents a symposium on “Jean Epstein’s Interdisciplinary Cinema and the French Avant-Garde” from 9 a.m. to 7 p.m. at Cobb Hall 307, 5811 S. Ellis Ave. The symposium aims to expand understanding of Epstein’s diverse oeuvre and his involvement with the French avant-garde movements influential especially in cinema’s late silent era (roughly the 1920s). The symposium will open with a screening of Epstein’s 1929 film “Finis Terrae” on Friday evening, followed on Saturday by several presentations on Epstein’s work and a roundtable discussion. The purpose of this workshop is to bring together researchers from a variety of disciplines (anthropology, linguistics, musicology and environmental science) to explore the interrelations between culture, language and environment in Siberia and to investigate ways for the academic community to respond to the accelerating pace of change. Organized by Lenore Grenoble, the Carl Darling Buck Professor and Associate Chair of Slavic Languages and Literatures, the workshop will feature Ted Levin of Dartmouth, David Harrison of Swarthmore, among others. More information. Posted in Press Releases. Tagged with Art History, Cinema & Media Studies, Classics, Comparative Literature, Linguistics, Slavic Languages & Literatures.